If you have decided to sell your house, one crucial step in making sure that it will be out of the property market soon is to keep it clean and appealing. This way, potential buyers will be drawn to the house and take time to check and review if your property is worthy of their hard-earned money. As such, a thorough deep cleaning is a must before you list your property for sale. A clean and organized house will help potential buyers see that it has been well-cared for and would be a suitable home for a whole new family. 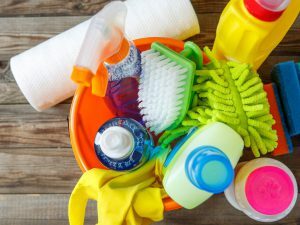 Professional cleaners share eight specific areas in your home that must be effectively deep cleaned before staging, so the property can successfully attract future owners. Your property’s entrance will always make a huge first impression. Often, buyers linger in this spot for quite some time to see if they can easily and immediately detect the appearance of accumulated dust, dirt, and grime. For instance, you have to clean dust from the doors and wipe away fingerprints on the knobs. Also, make sure that the walls outside are free of any scuff marks and writings. When necessary, consider repainting the doors and walls for a fresher, more vibrant look. Don’t forget to check the lighting fixtures as well, not only at the entrance but in all rooms. Clean the bulbs and make all necessary repairs. The floor can also make a huge first impression. So if you have carpets, make sure to run the vacuum over these before staging or have these professionally cleaned. For tile floors, scrub the grout to get rid of grime and keep the floor looking bright. For a hardwood floor, polish and shine it to boost its natural appeal and beauty. Nothing is more disgusting than a toilet, or bathtub, or an entire bathroom that looks and smells gross. It is an absolute must for you to wash all the corners, surfaces, and elements of your bathroom, such as the shower, storage cabinets, toilet, and bathtub. This means scrubbing the tiles and grout, polishing hardware and fixtures, and tossing out all unused and empty bath products. Also, ensure that there is no soap residue to be found and no personal toiletries are exposed. Make sure that your kitchen looks sparkling because this will also create a great positive impression on buyers. Make sure to clean all surfaces and hardware. For instance, scrub the counters, grout, and ceramic tiles to remove any grime or grease that has settled. Also, fix or replace all damaged hardware, including the cabinet handles and sink knobs. Furthermore, make sure that all cabinets are neat and organized. This is a good way to showcase how functional your kitchen is. Your garage is a valuable part of the home for any individual or family that owns a vehicle, so don’t assume that interested buyers won’t take a look at it. So make sure that it is clean and that all items stored in it are organized as well. Eliminate all clutter and get rid of any oil spills. During the open house, open the doors and turn on the lights so people can easily look around. If you don’t clean your windows regularly, now is the best time to make them sparkle. Most buyers will check how natural light can penetrate through the windows. If windows are all streaked and dirty, light can’t pass through these well, and that can give the home’s interior a gloomy look. So make sure that before staging your property, the windows are clean and spotless so that plenty of refreshing natural light can come in. In addition, make sure to replace old windows with energy-efficient ones. This will give you an edge over other properties for sale. Aside from being eco-friendly, these windows can significantly reduce monthly energy bills. The laundry room is also very important, especially for big or growing families that quickly accumulate big loads of laundry in a matter of days. So make sure to de-clutter the space to highlight how spacious it is and conducive to the task of cleaning and organizing clothes. Bear in mind that most buyers will look into the size and functionality of this room. And like the kitchen and bathroom, you have to clean all surfaces, hide the soap and other laundry essentials, and keep all appliances neat and organized. Keep the bedroom looking clean and inviting by tidying up the bed at all times. This simple task can make a huge difference as it makes the room look and feel relaxing and comfortable. Also, you should have enough closet space. It is recommended that you leave the closets empty to make these appear more spacious. This will help buyers visualize if such a closet can accommodate their belongings. You will only have one chance to motivate potential buyers to check out your property for sale. So before staging it, make sure that it is in tip-top shape. This will also help you get the best value for your home. So if you don’t have the skills, knowledge or the time to make the house completely clean and truly appealing to visitors, then consider investing in a professional deep cleaning service. This is the best way to make sure that your property is spotless and ready for an open house.